On Friday. 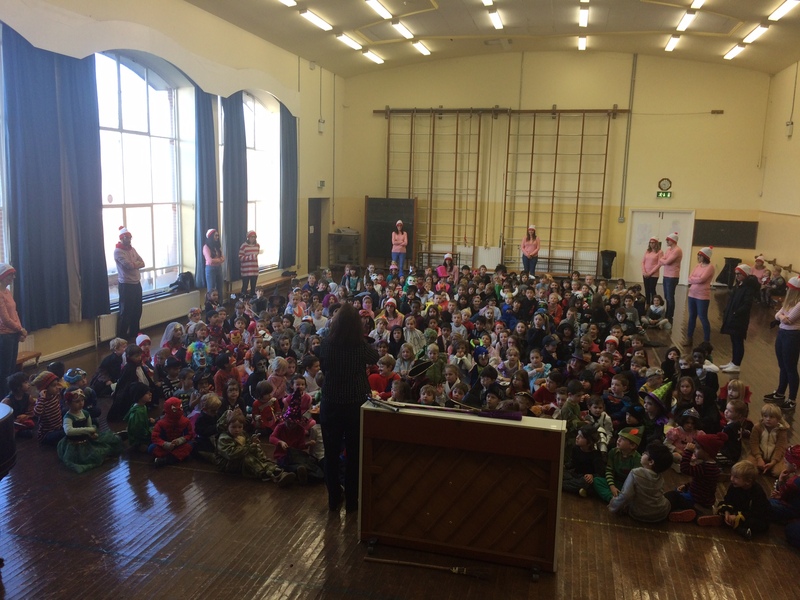 October 27th, our school gathered together in the hall for our very first assembly. Junior Infants sang us a song they have been learning called ‘Five Little Pumpkins’ and First Class sang ‘Winnie the Witch’. It was great to gather together and to see our whole school in the one place. The children were excited to see their siblings and the other children with their excellent and creative costumes.